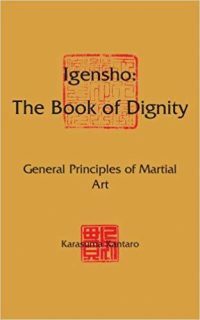 Take a deep dive into Igensho: The Book Of Dignity, General Principles of Martial Art to see the larger purpose of training in tae kwon do, karate, aikido and other samurai related combat systems. Its not just about self-defense, but about upholding the principles of justice. Find out more from this conversation with the author.